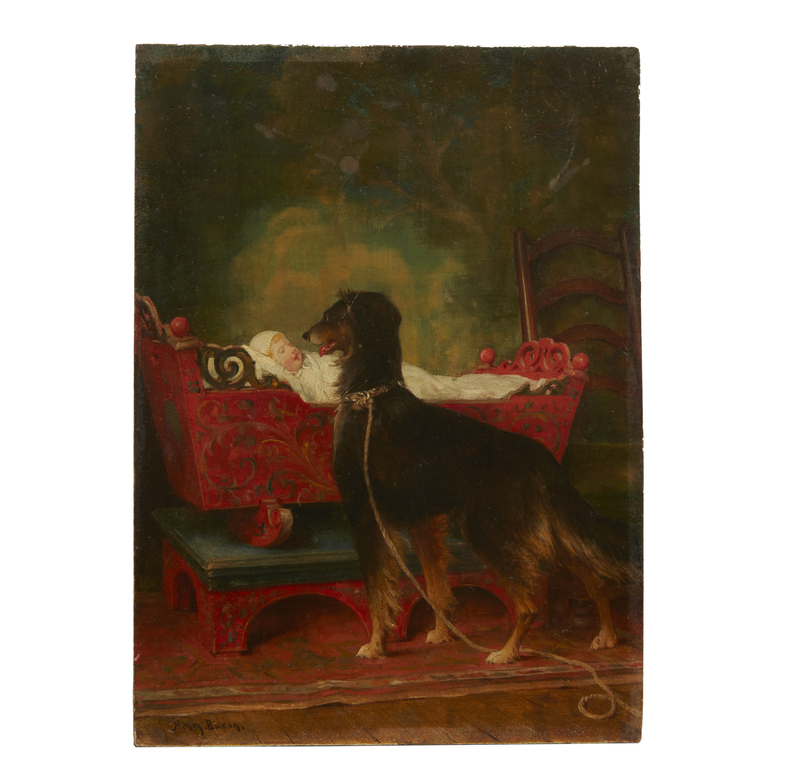 Unframed Henry Bacon (1839-1912) oil on wood panel depicting a dog gazing at a baby in a red crib. 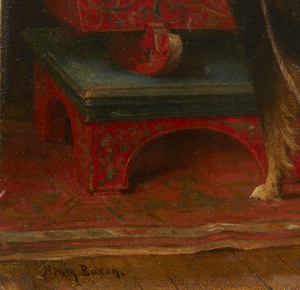 Signed lower left, "Henry Bacon". 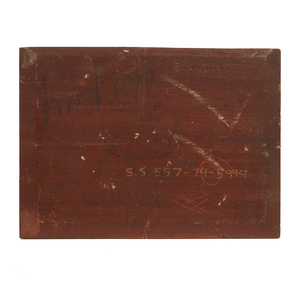 Illegible stamp verso, as well as handwritten lettering and inscribed verso, "S.S. 557-74-5994." 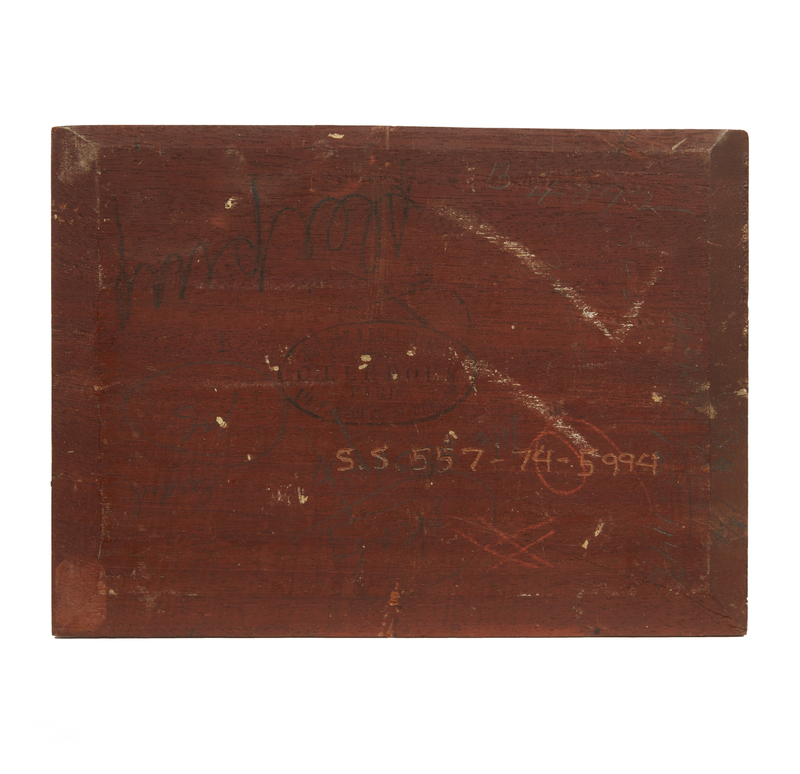 Dimensions: 9.75"h x 7"w. Bacon was born in Massachusetts and served in the Civil War. After being injured he travelled to Paris where he studied art. 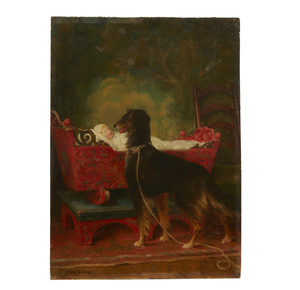 He is known for his tightly painted genre scenes and landscapes. Processing and shipping within the continental U.S. $25.00 plus 1.5% replacement cost insurance. Scattered small areas of discoloration to varnish, greatest upper half. Witherells strives to provide as much information and photographs as possible but encourages in-person inspection by bidders. Condition statements are only for general guidance and should not be relied upon as complete statements of fact and do not constitute a representation, warranty or assumption of liability by Witherells. All lots are sold "AS IS" under the Terms & Conditions.